For a good many years our team has designed and produced a wide range of marketing support material for an equally wide range of clients, both national and international. These range from corporate identity programmes and their applications on many items to full colour brochures and mailers. 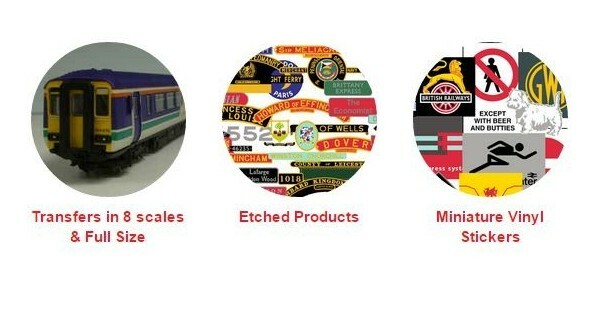 During the course of our work we have become involved in the origination and production of material for both full-size and miniature railway liveries and at the moment the major part of our website is concerned with these products. As specialist screen process printers we have been able to offer our services in a wide range of other fields, including marketing, commerce and engineering and we are in a privileged position to make available our expertise in the design and creation of our clients’ requirements. As may be expected, our website will be updated on a regular basis. If you have a problem that is not covered by what you see on our site please e-mail us now. Two heads are better than one!